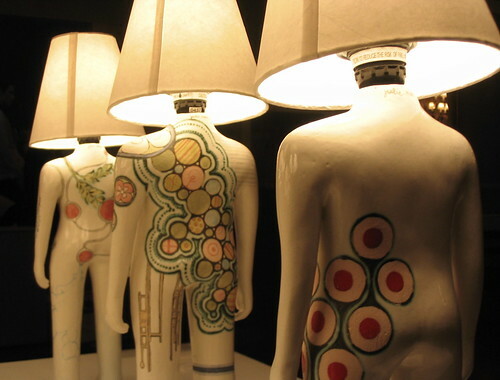 While the specific means of attaching a lampshade to a lamp may vary depending on the type of shade and fixture, basic table lamps typically have a finial or screw that holds the shade in place. Other shades, such as candelabra-style chandelier shades, have a metal ring or lip that secures between the bulb and the base for the socket. 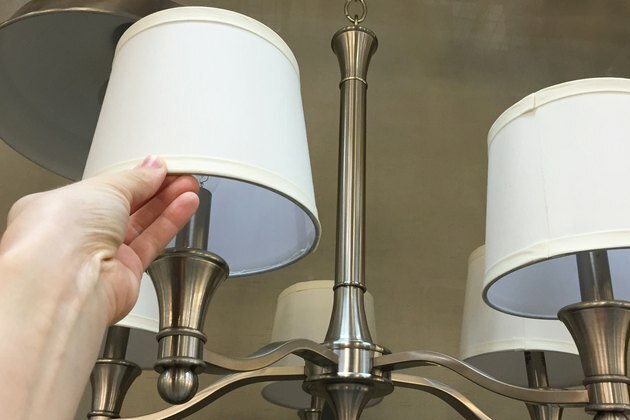 Examine the top of the shade and the lamp or fixture for clues to the exact means needed to install the shade. 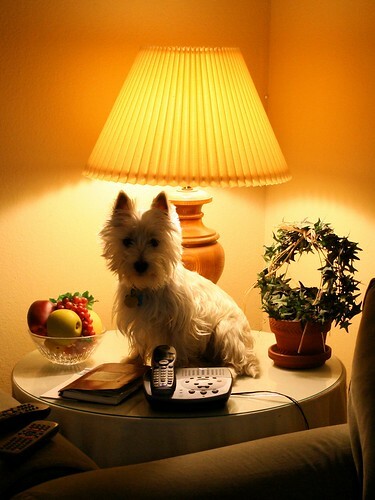 A common style of table lamp has a harp around the light bulb, and a post and finial to keep a lampshade in place. 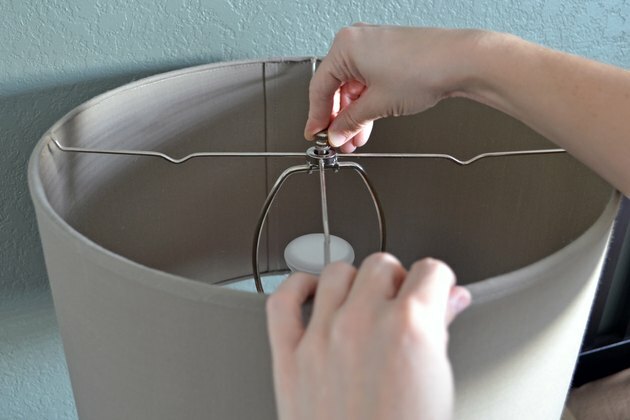 Unscrew the finial or decorative tip at the center of the metal harp that surrounds the light bulb in the lamp. 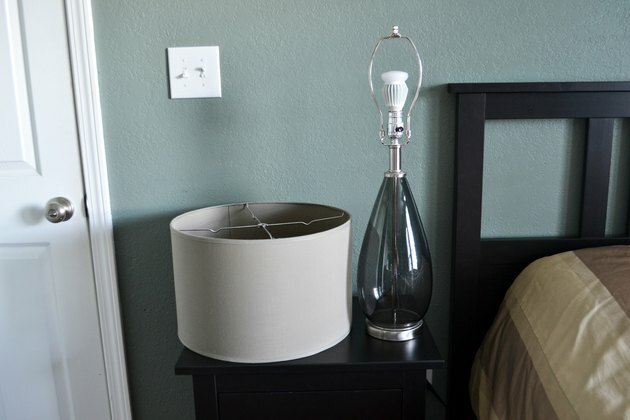 The proper lampshade for this type of lamp has a wire structure called a spider inside the top of the shade, with a hole in the center. Place the hole over the post on the lamp harp, and then replace the finial, tightening it down to make the shade stay on straight. Some chandeliers feature small lampshades over the individual light bulbs. This type of shade may require that you take out the light bulb to remove or replace the shade. Unscrew the bulb, and then set the shade atop the stick or base beneath the individual light bulb socket. This type of shade, called an uno fitter, has a large lip that fits over the candlestick-style post that holds the light socket. Replace the bulb.